So while your humble No Fenders scribe is in Indianapolis celebrating a milestone birthday, hey! What better place to celebrate your birthday in Speedway, Indiana if your an Open wheel Racing devotee, right Danny? As notice I AIN'T gonna tells Yuhs the number, other than its LESS than Tristan 'Turbo Vautier's car number but more than 'FAST EDDIE's; Hooah! The storied automobile manufacturer Aston Martin is celebrating its Centennial this year upon having been founded in Bloody 'Ol London in 1913 by Lionel Martin and Robert Bamford, to which I've just discovered how the company's name was concocted, as Lionel Martin was an avid Hill Climb racing specialist and he competed often at Aston Hill near Aston Clinton, hence the name Aston Martin was hatched, albeit World War I got in the way and the company didn't really take off until afterwards and has subsequently gone through multiple ownership changes. Obviously Aston Martin's zenith of its long racing success is undoubtedly winning the 1959 24 Heurs du Mans overall with a fantastic 1-2 finish with Carroll Shelby and Roy Salvadori co-driving their DBR1 to victory at Circuit de la Sarthe during the David Brown ownership era, (hence what the DB stands for, while R obviously equals Racing) along with capturing the coveted FIA World Sports Car Championship that season on the back of their Le Mans win. Yet how many of Y'all know that Aston Martin raced in Formula 1 also? As unfortunately Aston Martin decided to dip its proverbial toes in the F1 waters in 1959-60 with a front engine DBR4 racecar at the very same time that the revolutionary rear-engine Cooper Climax's were obliterating the field with Sir 'Blackjack (Jack Brabham) at the controls, as the above mentioned drivers Shelby & Salvadori had pretty lackluster results before the marque returned to focusing upon Sports Cars instead. 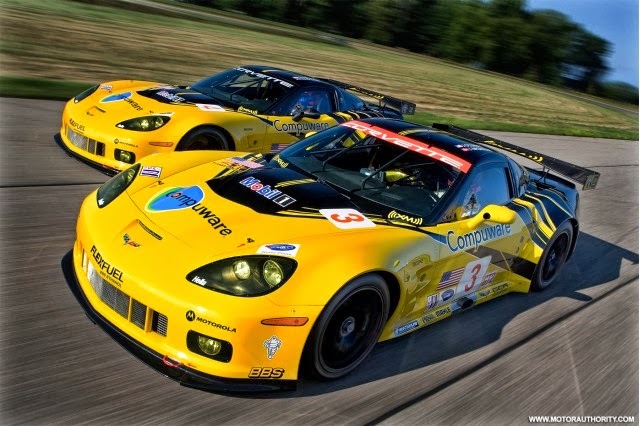 Although the Bowtie Brigade has been my Automotive nemesis - nonetheless General Motors Flagship "Halo" car has certainly done its share of winning as those DAMN Yeller' (yellow) 'Vette's have been synonymous with winning throughout the 2000's, having taken multiple class wins at thee legendary Circuit de la Sarthe during le 24 Heurs du Mans, not to mention multiple ALMS championships and class victories at both Sebring and Daytona in their endurance races respectively.